Baby, it’s cold outside! Perfect weather for a vacation in warmer climes. Destination: Florida! 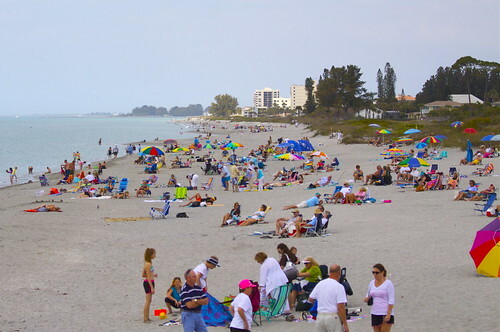 Florida has been a very popular tourist destination for the last hundred years, especially during this time of year. With near-perfect weather year round, beautiful beaches on the Atlantic Ocean and the Gulf of Mexico, and some of the most popular amusement parks in the world, it is easy t see why Florida is such a popular vacation destination. Florida works very hard to manage the gateways and roadways to the most popular attractions. On any given day, there’s a steady flow of traffic of tourists and employees that work the attractions, so the roads are always full. Consequently, Florida law enforcement is very strict about administering traffic and safety laws. They impose very large fines and stiff penalties against offenders, and are rarely lenient. It is their belief that this is the only way to keep these tourist areas safe for visitors. 1. School Zones. You must slow down to the posted speed in a school zone when the zone lights are flashing. In most places, this is 20 miles per hour (mph). This law applies to all areas, even if the regular traffic speed is 45 mph or above. Speeding fines in school zones are doubled, and if you are driving more than 19 mph over the posted speed limit, you could be arrested. 2. Construction Zones. Similar to the school zones, you must drop to the posted speed in a construction zone or face a ticket that is double the cost of a regular speeding fine. 3. 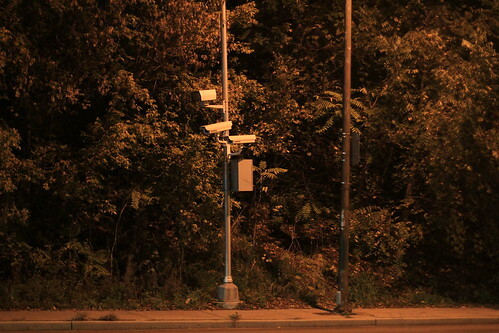 Red Light Cameras. A majority of the tourist areas, such as Orlando, have red light cameras posted on major intersections. These cameras will photograph your license plate and send a ticket to your home within 30 days. In the event that the plate is registered to a rental car, the rental company will be immediately notified and your information will be provided to the enforcement agency for ticketing. 4. DUI Enforcement. Theme parks, restaurants, and most tourist attractions offer alcoholic beverages. Alcohol is not permitted on the beach, but all beach-side establishments sell alcoholic drinks. With the combination of Florida residents and tourists on the roads, the potential is great for there to be many motorists driving under the influence at any given moment. Florida law enforcement is aggressive in its pursuit of these drivers. If you are stopped and found to be driving under the influence, you will be arrested and ticketed. If you are visiting Florida, and you believe that you were wrongfully ticketed or arrested, you have the right to dispute the ticket in court. However, when you go back home you may find it difficult to fight a ticket from your state of origin. Consider hiring a local attorney which specializes in driving infractions, like those of http://www.thetixteam.com/. This is your best choice for fighting an unjust ticket. A local attorney will better understand local laws and trends and be able to use that information successfully in court to defend you. When you come to Florida, enjoy yourself. It is a wonderful place with many things to do and experience. However, make sure that you follow the rules of the road. No one wants to have a traffic ticket put a damper on their fun. LaGeris Underwood Bell hopes this article will prepare Florida visitors to avoid traffic troubles while having fun in the Sunshine State.